Celebrating 25 Years: 1990 to 2015 – Americans with Disabilities Act. 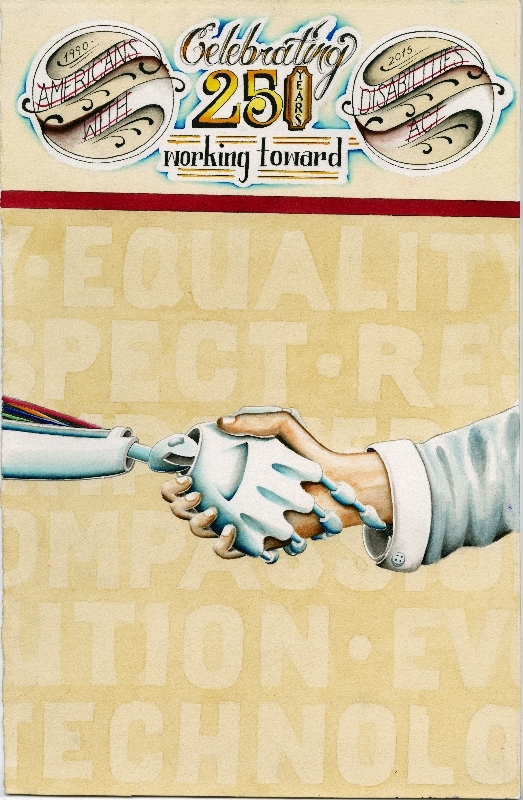 Working toward: “Equality”, “Respect”, “Empowerment”, “Compassion”, “Evolution” and “Technology”. A cybernetic arm and a human arm shake hands. Disabilities touch us all in one form or another – we all have someone close to us whose quality of life depends on the kinds of things that the ADA provides. I hope to spark interest and encourage increased disability advocacy with these pieces.